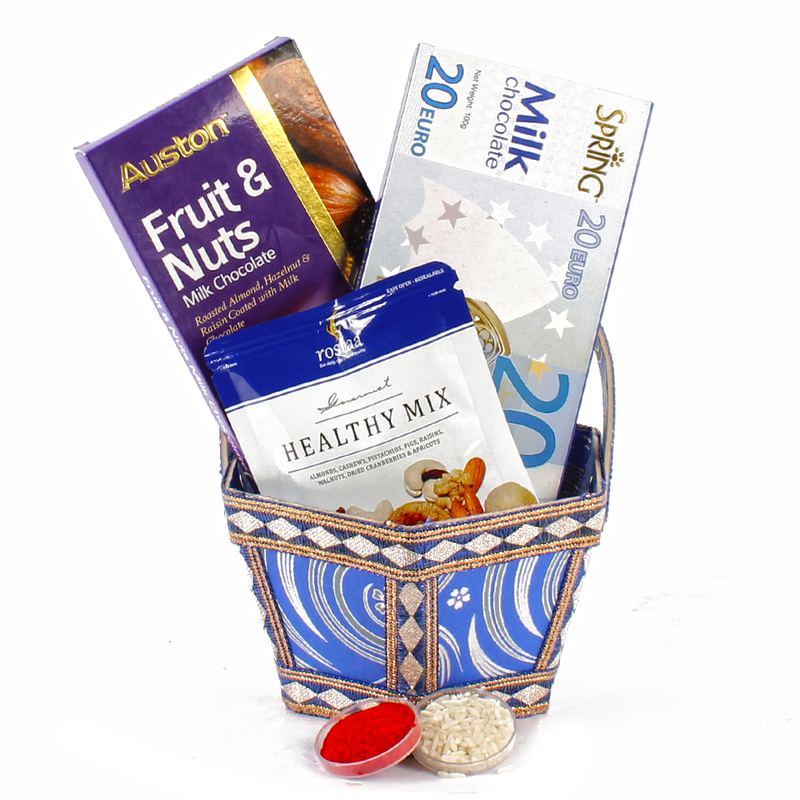 Product Consists : Spring 20 Euro Milk Chocolate Bar (Weight : 100 gms) with Auston Fruit & Nuts Chocolates Pack (Weight : 110 Gms) and Rostaa Dryfruit (Weight : 35 Gms) nicely packed in a Basket along with Pack of Roli Chawal. 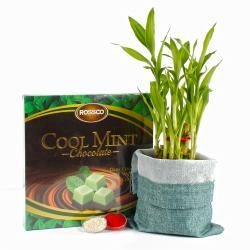 Specially curated to bring smile on face of your loved ones , this is a combo of a bhaidooj tikka and Chocolate hamper brought to you by Giftacrossindia.com . 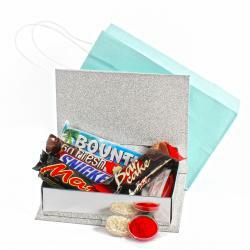 The chocolate hamper containing Spring 20 Euro Milk Chocolate Bar its to yummy and milky to eat . 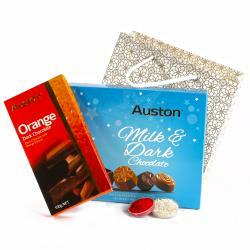 This tikka and yummy Auston Dark Fruit & Nuts Pack come in a gift Basket which adds to its appeal . You can send it to your loved ones on occasion like Diwali , bhai dooj and other occasions on which is essential to perform pooja . 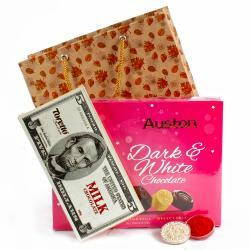 Product contains : Spring 20 Euro Milk Chocolate Bar (Weight : 100 gms) with Auston Fruit & Nuts Chocolates Pack (Weight : 110 Gms) and Rostaa Dryfruit (Weight : 35 Gms) nicely packed in a Basket along with Pack of Roli Chawal.